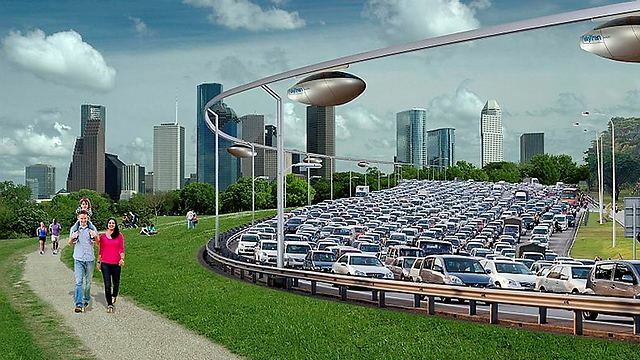 Tel Aviv to get world's first elevated transit network, a 400-500 meter (yard) suspended loop built called skyTran. California-based skyTran has teamed up with Israel Aerospace Industries (IAI) to construct the world's first public pilot project for skyTran's elevated transit network. A number of skyTran projects are being planned globally, including in India and the United States, pending the success of the pilot in Israel. The pilot will be a 400-500 meter (yard) loop built at IAI's campus in central Israel and, if successful, will be followed by a commercial network in Tel Aviv in the coming years, skyTran CEO Jerry Sanders told Reuters, without disclosing the cost. 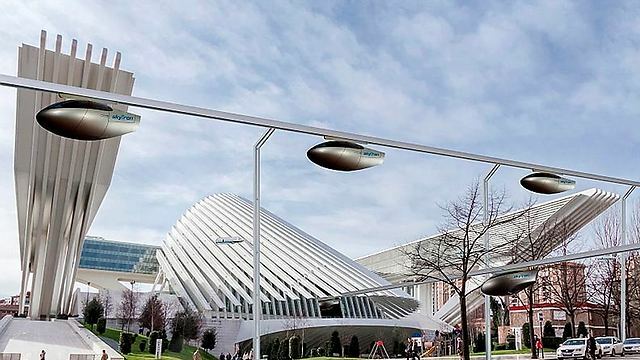 SkyTran is a rapid transit system in which lightweight two-person vehicles are suspended from elevated magnetic levitation tracks. The skyTran vehicles in the pilot will cruise at speeds of up to 70 km an hour but that will jump to 240 km an hour at the commercial phase, Sanders said. Tel Aviv if often gridlocked with commuter traffic as there is no subway and many commuters travel by car. "Tel Aviv is a world city. It's a destination for people around the world. A center of commerce. Israelis love technology and we don't foresee a problem of people not wanting to use the system. Israel is a perfect test site," Sanders said. The first components will be pre-assembled at skyTran's headquarters at the NASA Research Park in California. The rest will be constructed locally and the system should be running by the end of 2015, Sanders added. At the same time his company hopes to finalise preparations for its first ever commuter line, which in the first phase will be about 7 km (2.7 miles) long, consist of three stations, and cost about $50 million to build. Everything will be automated. Passengers will be able to order a vehicle on their smartphone to meet them at a specific station, and then head directly to their destination, cutting travel time dramatically. "It can handle 12,000 people an hour per guideway, and that number grows exponentially with each additional guideway," Sanders said. "That is more than a light rail and equal to three lanes of highway." IAI, Israel's largest defense company, said it would bring to the pilot its expertise in engineering, robotics and control.